My 26th birthday cupcake! yum! In 2005 when I decided to start eating healthier I began drinking more water, eating more vegetables and in general picking healthier options. It made a big difference and I thought I was doing good until I heard about Paleo, organic foods, and the other zillion articles that are popping up all over the web. I feel like I get bombarded with new health information all the time and to be honest it's super overwhelming. I've read articles telling me that organic is the way, that canned tomatoes are causing me cancer, that stomach fat is actually coming from caffeine, that potatoes are bad and that wheat is going to be the death of me and that's just a tip of the iceberg. I'm not against people who eat Paleo or 100% organic. I've even had a guest post from someone who does eat organic and I'm happy I had her on my blog. It allows for other readers who eat that way to build a community. Even if I don't eat exactly the same way it is encouraging to see people making healthier choices. I've thought about food a lot. 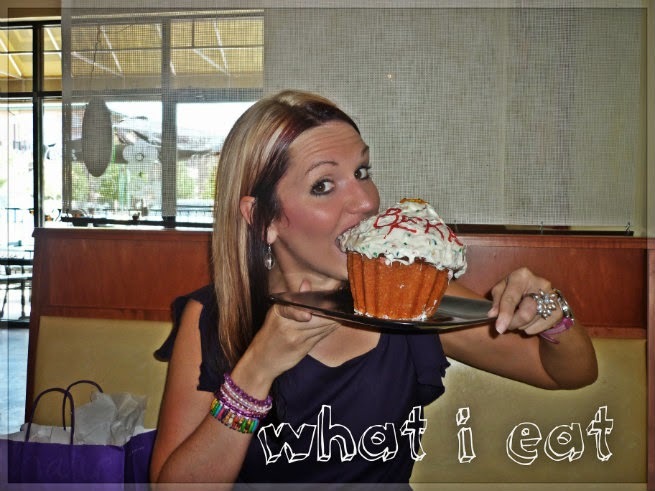 What should I really be eating? After talking with my sister and contemplating I think the Bible gives us some direction on what we should and shouldn't be eating. For starters, I think no matter what food route you choose you need to remember that if you are a born again believer your body is the temple of the Holy Spirit and you are commanded to honor God with it, which includes food. Whether therefore ye eat or drink or whatsoever ye do, do all to the glory of God. What the Bible Says: nothing. I know, most American's are gasping but it's true. The word organic is found zero times. It does talk about glorifying God with our body though. ^see above. My opinion: I do buy some organic foods but not all the time. I'm also not 100% convinced that all organic foods are truly organic. I'll be honest and tell you that Paleo is the diet that I have the hardest time with. I'm a crossfitter, and probably one of the few, that doesn't embrace Paleo as a lifestyle. I do however, like some things about Paleo and on occasion cook a Paleo recipes. I didn't realize this until a couple of months ago but paleo is somewhat based off of evolution. I do think that eating foods in natural forms (minimally processed) is good but embracing a lifestyle that is partially founded/affiliated with evolution isn't something I'm personally comfortable with. What the Bible Says: The Bible talks about milk, honey and grain - foods that are not to be consumed by those eating paleo. *milk and honey- God led His chosen people, the Israelites, to a land flowing with milk and honey. If both of those things were unhealthy I don't think God would have led them there. *bread - There are verses where Jesus blessed bread. A simple example is the Last Supper. I also can't help but think about when Jesus turned the 2 fish and 5 loaves of bread into dinner for 5,000+ people. my opinion: Do I think that the mass production of bread and milk is super healthy for our society? No. I also think we as American's consume way too much. However, I don't agree that milk, honey and grains are extremely harmful foods because Jesus ate it and gave it to others. I also look at other countries like Brazil, Korea, Italy and many others who consume rice, beans, wheat and are very healthy countries. Can you imagine being Italian and not eating pasta? I also grew up in Brazil and ate rice, beans and bread frequently and Brazilians are very healthy. Not that which goeth into the mouth, defileth a man but that which cometh out of the mouth, this defileth a man. The more harmful thing isn't what goes in food wise but what comes out (I'm not talking about the bathroom either). This verse is saying that our words, how we love others, our actions, our kindness, etc. is what matters. That's super convicting to me! I also think when we stand before God he isn't going to question too much about what we ate (unless we consumed McD's 3x daily). Yes, we will be accountable for how we took care of the body he gave us but I don't think He puts the emphasis on it that we do. I think the main focus will be love. Did we love God by how we took care of our bodies and did our food choices allow us to be healthy so we could love others. I'll be honest and say that sometimes food seems like a god in our country. We focus on getting the best produce, the best meat, the best energy drinks. Sometimes I make it into a god. I'll be the first to admit I love trying new recipes and cooking for hours. There is nothing bad with that but sometimes I think I go overboard. I also can't help to think that while I focus so much on what I eat there really are people that go without. There are people here in America and people overseas that don't get food or nutrition. While I drive across town to get the best carrots for juicing there are people who would be so incredibly thankful to just have the 3 day old carrots from Walmart. If I'm honest with you, this post was super difficult for me to write. I have friend's in real life and friends in the blog world who I'm scared to offend with my different viewpoint. However, if you eat organic, I support you. If you eat 100% Paleo, I won't agree with you, but I'll still support you. I have friends at crossfit who eat Paleo day in and day out. You know what I apprecaite about them? If I tell them I'm going home to eat a bowl of pasta they tell me it sounds really good, and they mean it! If they tell me they are going to eat grilled chicken with veggies I tell them it sounds really good, and I mean it! I can disagree and still support and be kind. What are your thoughts about food? What do you believe is the best option for you and why? Excellent, excellent post, seriously. It's obvious that you put a lot of thought and carefully looked at what Scripture says as you put this post together. I think you hit it on the head--"What's more important? What does God care about more?" There are many countries where truly organic foods aren't readily available and when found are very expensive. What if someone who felt God were falling them to be a missionary had to tell God, "Sorry, God, but the food in that developing nation is very poor-quality, I won't be able to afford my diet on a missionary's income, and Your Word says to take care of my body so I won't be going." I think choosing not to eat junk is a good idea--but l like you mentioned, it's far from being the overall calling God has for his children. This is absolutely fantastic. Seriously. I want to high five you. I'm a major nutrition nerd as well as a Christian, and I think about this A LOT. And I agree with everything you said, 100%. Especially about Paleo. I have Christian friends who are obsessed with healthy eating and never putting animal products or sugar or non-organic products in their body to ward off cancer and any other disease. I applaud the effort to take care of their bodies, but for me, the bottom line is that no matter what I put into my body, God will do with it as He will. I do my best each day to honor Him by taking care of myself and eating well, but at the end of the day, God is in ultimate control of my health. Beka, this is so interesting! I follow a pretty flexible version of the paleo diet, not because I believe that it has roots in evolution, but because through experience I've learned that eating lots of veggies and protein makes my body run optimally, and that certain foods I used to eat have directly negative reactions in my body. While we have very different spiritual beliefs, I really enjoyed reading about diet from a faith-based perspective. Not the route people usually take and totally fascinating. I'm glad it works for you! I also don't think many people dig deep into the evolution theory but I also have solid Christian friends who eat that diet. They aren't eating it to support evolution but because they feel that is how they should best take care of their bodies. I have also had my friends tell me that once they started Paleo and then went back to drinking milk or eating other things they felt terrible! I understand that aspect of it and if that is how your body works best then I think that's ok.
the crazy & awesome thing is that you can eat healthy SO many different ways!!! i agree with you that all of the health articles & viewpoints are so overwhelming!! and really it just comes down to what fits your body & your lifestyle. some people can't tolerate certain things and so it's not a healthy choice for their bodies. but everyone's body is different! i think it's super important to view food as it should be viewed - something to give me sustenance and energy so i can live my life. it shouldn't be an obsession, we shouldn't be gluttonous, and we shouldn't hold it up as an idol! so whatever "diet" allows us to keep food in a healthy perspective is the way to go! I have friends who embrace Paleo, also, but I don't follow it myself. Your point about evolution is fascinating and makes sense; I have Christian friends who have tried to tell me "that's how early man ate", which I disagreed with because it is in direct opposition to the Bible, as we know Cain grew grain. But I agree the most important thing is to be kind, loving, and respectful to those to do choose to eat that way. We don't know what God is doing in the lives of others, and He may have specific reasons for leading them to eat that way for a time. Loved reading your thoughts on this, because if you've been around my blog for any amount of time you know I think about food a lot! I don't want to just repeat what's already been said in the comments, but I like to eat a mostly-Paleo diet because it makes meat eat more fruits, veggies and healthy fats and way less sugar! When I read "It Starts With Food" (the introduction to Whole30) and it had absolutely nothing to say about evolution and had a lot more to say about how foods were made now - highly processed and modified. So, I have no problem sticking with a Paleo mindset and maintaining my beliefs that God created the universe. However, I also don't mind sharing a big plate of pasta with some friends or eating a yummy slice of cake on occasion either - just in more moderation than before. Like you said, what matters most is that I'm taking care of my body - the temple of the Holy Ghost. I was once told that any "diet" that makes you restrict an ENTIRE food group, should be a light bulb for you to not follow it. For instance, the Paleo diet insists on no dairy products or grains. For some, this may be okay, but for most, this is very unhealthy. Young females, especially in their child bearing years, need as much calcium as possible to prepare for child birth. In addition, athletes need a wide range of healthy foods, including whole grains, to perform at their highest levels. I do believe the the Paleo diet has some strong points, such as increasing your daily values of fresh fruits, vegetables, and meats. But I do NOT agree that cutting out dairy and whole grains is healthy in the slightest (especially for athletes). In addition, I believe that life is too short to be so overly concerned with what food groups you do and do not eat. I believe in taking care of your body and listening to what it needs, and eating all foods in moderation. That means, if you are hungry for pasta, you eat pasta, if you want dessert, you dessert. No, that doesn't mean you have to eat it everyday, but it means that it is OK to listen to your body and its hunger needs. I believe that if you listen to your body and eat everything in moderation, you really shouldn't have to be worrying about following a certain diet or trying to avoid certain food groups. You took a really interesting perspective on this, and I enjoyed reading it! I never thought about the Paleo diet being sort of based on evolution, but you're right that God did bless break and milk, although I see the point that those things are processed much more than they were in those days. I think everything in moderation is a good strategy for me. And of course, like Alicia said, you have to figure out what helps your body to process food in the optimal way. I think where we get into trouble is assuming that everyone should do things our way. Sometimes with people who are doing different diets (like Paleo), they act like you're going to die a miserable and quick death if you eat this or that. I like what you said about being okay with what others eat even if you don't want to do that for yourself. I shouldn't think anyone who disagrees with you can take offense, because you're not telling anyone how to eat but just explaining what your food choices are and why. Thanks for sharing! I agree that balance is important! In regards to Paleo, not to be mean, but you should ask your friends how long the 'early men' lived. (The answer is an average of 33 years). While I do think various aspects of Paleo are really good (lots of veggies, fruits and healthy meats) in the medical field it is in the fad diet section. I read an article from my husband's medical journals and it was in the fad diet section. They said long term research hasn't been done yet to prove the long term effect. They notice weight loss, and the extra vegetable intake and that they were calcium deficient. I also think that no food group should entirely be cut out! I think we as Americans consume way too much bread but I don't think it should be cut out. Yes, to being respectful! It comes before any diet. I don't know what to think about all the processed and GMO stuff either. On the other hand, how do you produce food for almost 7 billion people without mass producing something? Sometimes after reading articles and listening to people talk about Paleo I feel like I'm going to fall over dead after eating bread but I never do and I always enjoy it. Also, I won't eve give up cookies unless the Lord asks me to do it. I'm not joking either - cookies are the best. Thanks, Heather! I agree people need to eat what is healthy for them and that is unique for every person. Thanks for your thoughtful response. It's a good discussion to get going. I think a lot of people in the U.S. don't really stop to think about their food choices, and then get all freaked out when there is so much cancer, tumors, obesity, etc. As for other countries, I have a theory, but it's not researched. I think a lot of underdeveloped countries are "healthier" because they eat more naturally, whole foods, minimally processed. When I spent 6 months in the Amazon, the only processed food we had access to was what we brought ourselves. Everything was cooked fresh. As for Brazil, my in-laws have told me that in the past 25 years they've been here, they've seen a huge rise in obesity and illnesses related to that, as more products are imported, more processed foods become readily available. Also, gluten intolerance is a huge thing here now. ("contem gluten" or "nao contem gluten" is required by law on every single product). Anyway, like I said, it's a good discussion to have. I'm not saying my food choices are perfect (I do enjoy salt and vinegar chips waaaaay too much), but I think it's important for people to think about their choices and know why or why not they are doing what they do. But yeah, Food Inc is definitely a good one. It explains all about cows, chicken, genetically modified corn, etc. I just read an article today about how the "natural" brand of chicken at Kroger isn't even true. It's probably the only brand of "organic" meat that I could ALMOST afford. It's frustrating to feel like I have no control over my food because I feel like all the info out there is conflicting and then who is REALLY telling the truth? Then again, there are people who don't even care...they're just hungry. Some days I'm really passionate about food, and the way it comes to my plate...and other days, I'm just exhausted and annoyed by it all. That makes me so sad that Brazilians are becoming more and more unhealthy. When I grew up there I only knew 1 person who was severely over weight. All these countries are trying to 'be like America' and it just isn't healthy! I feel like I know what you are feeling, I struggle with it myself. Trying to explain why I eat 75% clean is tough. I think that we especially in this country are all very different, with different body structures requiring different things to function correctly, what works for one may not work for another. I don't think there is any one diet that is correct, just one dress size does not fit all. Why do people get so worked up over it? Our diets shouldn't be yet another thing to judge each other on. What I think should happen is that people should individually look at their diets and what specific food or food types bother them to find out what works best for them, instead of jumping onto whatever diet everyone else is on that week. Wonderful post! I agree! I think every physical body responds different to foods. I think finding the best option for you and encouraging others in their food journey is so important. The balance is hard! I do agree that we need to eat foods close to how God made them (lots of veggies, fruits, etc) however when I can't find the 'perfect most healthy' I can't obsess over it either. I have never read Genesis 1 and 9 in light of how / what to eat but I'm going to and see what it has to say.